Specials | Fernelius Ford Lincoln Inc.
A front end alignment can prevent uneven tread wear. 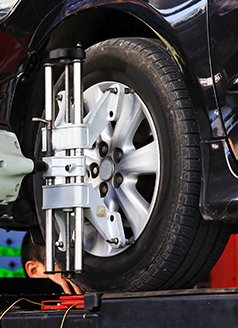 An alignment should be preformed annually or when new tires are purchased. Includes complete inspection of steering and suspension system. Please present coupon at time of write-up. Not valid with any other offer. No cash value. Some Restrictions apply. Valid only at Fernelius Ford Lincoln.